It probably won’t surprise you to hear that we’re big football fans here at Ligori and Sanders. Keith even played in college, and being born and raised in Tampa, is proud to wear Buccaneer red on Sundays! There are a million reasons to love football, whether it’s the community, the passion, the exciting plays, the comeback 80-yard drive resulting in a 4th quarter touchdown pass, you name it. No matter what your favorite part is, you have to acknowledge it all comes down to the players. Without the talented athletes, none of that magic about football is possible. But here is where the trouble lies. You would think that given that the players are the heart of the sport and thus the main driver of revenue for professional football leagues, they would be taken care of, right? Unfortunately in the case of head injuries and the NFL, you would be wrong. Here’s the deal: nobody is under the illusion that professional football doesn’t take its toll on a player’s body. The sustained concussive damage as a result of repeated blows to the head, which NFL players take dozens of times every week, can lead to several adverse conditions including CTE, ALS, and many more. But the NFL has shown neglect time in time again in addressing this issue. Let’s give some background. The NFL spent decades denying an established link between sustained playing and long-term brain damage, even when the first paper suggesting this possible causation was published way back in 1905! When they finally formed a committee to handle “research” into the area, they repeatedly downplayed effects and failed to encourage further research. That’s where Will Smith… I mean, Bennet Omalu came in. In 2005, a full century after that first paper was published, neuroscientist Dr. Bennet Omalu published his findings based off of autopsies of former NFL players of the repeated head blows leading to a condition called chronic traumatic encephalopathy, or CTE. The NFL demanded a retraction of this study, but it was too late. The research was groundbreaking, and resulted in more than just a successful Will Smith movie! 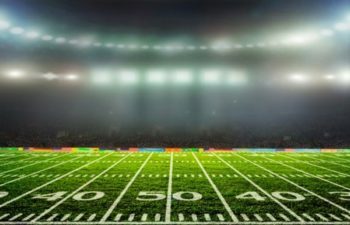 Since its publication, there has been a rolling snowball of awareness towards the NFL’s shady practices and neglect in taking care of the crisis. It even escalated to the point of them being called to appear before the United States Congress to address these allegations! So we arrive in 2017, where after a long legal fight, registration for a settlement program has finally opened for former NFL players feeling effects of head injuries. This is a significant victory for the players, but not in itself enough. The long-term ramifications and costs of these head injuries CANNOT be overstated, and the players absolutely deserve fair compensation. This is an opportunity for players to fight back, and Ligori and Sanders are ready to join them in this fight. We’re football fans. And we’re also attorneys. There are many reasons why we are these things, and the opportunity to fight for the rights and fair treatment of players who make our passion for football possible certainly gets us excited. To use our expertise to help these players doesn’t just make us happy attorneys; it makes us happy football fans. They’ve provided to us this sense of community, fandom, enthusiasm, and just good sport; we’re ready to pay them back. If you or anyone you know is a former NFL player who has sustained head injuries or psychological damage, we’re here for YOU. Perhaps you’re not a former player, but have sustained a personal injury and have questions; we can help there too! Either way, contact us today, and let’s talk about what we can do for you!